2. When can I resume weed control? AFSC in Alberta has extended its recommended seeding date deadlines for yield and quality coverage to June 5 for Argentine canola and June 15 for Polish canola. The original deadline was May 31. Yield-only insurance deadline is still June 20. Read more. For seeding deadlines in Saskatchewan contact your local SCIC office. Find office contacts and more information here. Seeding deadlines for Manitoba are June 15 for Argentine canola in risk area 1, June 10 for Argentine canola in risk area 2 and June 20 for Polish. Read more. In late springs with wet conditions, broadcast seeding may be the only way to get the job done. In fact, broadcasting may actually provide better seed placement than “mudding in” seed with a drill. Broadcast seeding now could also have higher yield potential than waiting two weeks for the ground to support the drill. Seeding is two weeks away. Should I spray now? Even if seeding is two or three weeks away, a pre-seed burnoff now could keep these weeds from getting too big to control. We have reports of gigantic winter annuals in fields where they haven’t been sprayed. Seed survival: Are you at 60%? 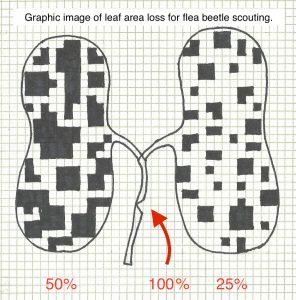 While only a small percentage of canola fields tend to require flea beetle management in addition to seed treatment, all fields should be monitored to assess the potential threat. Begin monitoring right after emergence and through until at least the four-leaf stage. Seed treatment can be effective through most of this period, but slow starting or slow growing crops under intense flea beetle pressure may require a foliar spray. Cutworms have been observed in some regions, including the southeast Peace region and west-central Saskatchewan stretching into Alberta. 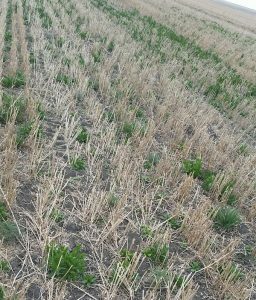 In western Saskatchewan, early observations suggest that cutworms are worse in fields that had lentils last year. In general, fields that had flowering plants (crops or weed patches) in August or September of the previous year may have higher cutworm counts. These flowers attract the adult moths, which lay their eggs in these areas. 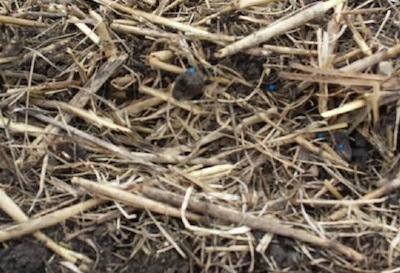 The nominal threshold for cutworms is 25-30% lost plants in a field or confined area. 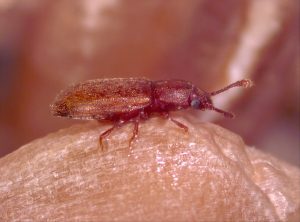 Some farmers harvesting crops this spring have noticed higher numbers of insects in their samples. These are primarily seed-eating carabid beetles and fungus-eating beetles (shown above).